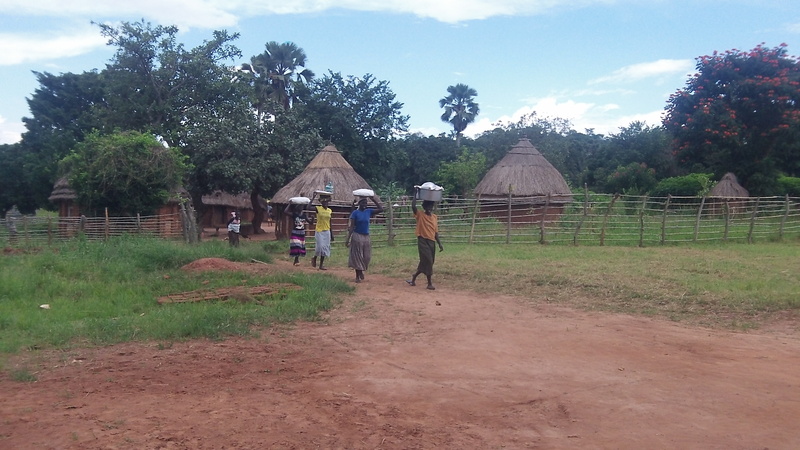 These Videos are a good history timeline of the events here in Moyo District. 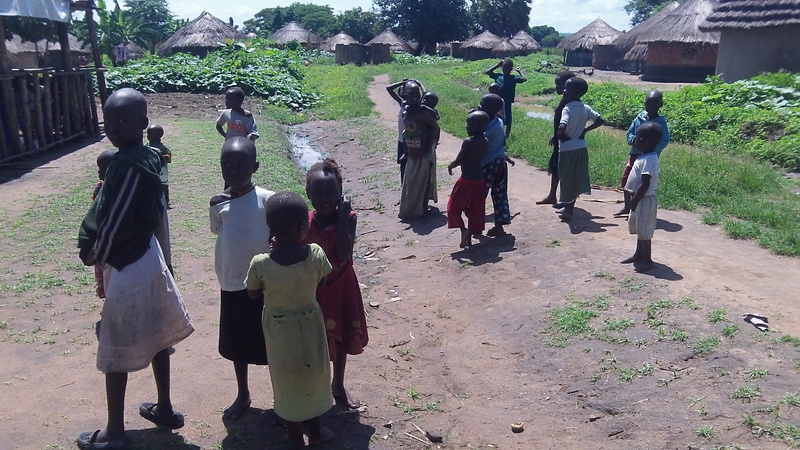 Each of them were taken here in Afoji just two kilometers from the South Sudan border. We remained here through this whole period of time. Kevin Turner, President of SWI, was with us and took most of the videos posted below. 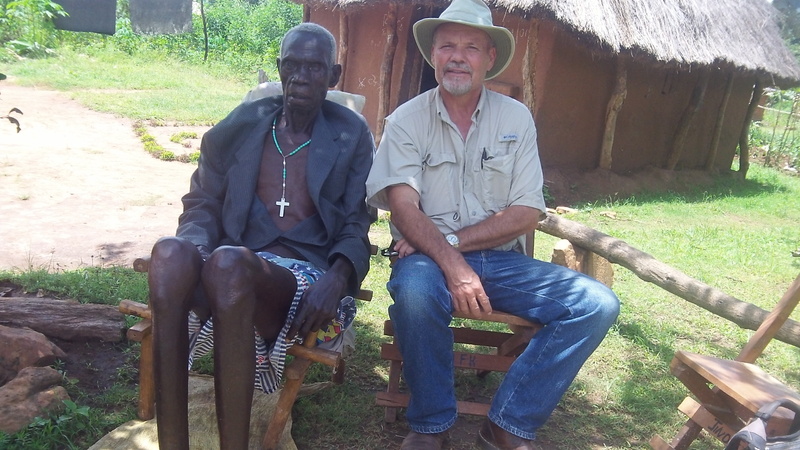 He and SWI are great partners in our efforts to spread the fame of King Jesus throughout the West Nile of Uganda. Afoji Church burned down. It is 500 yards from RAU. On September 21st the leaders met and tensions began to decrease. No doubt the prayers of God’s people were used to reduce the violence. May we continue to intercede on behalf of both the Kuku and Madi tribes. With tensions lessened there was time to have some fun and it is in this context the following videos were made. We all made it through the night safely. Thank you all for your prayers. God heard them! 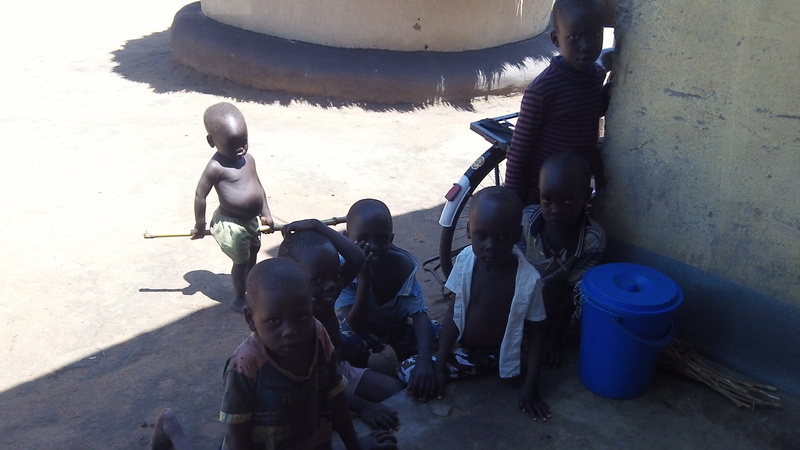 The women and children spent the night inside the house while the men, who were guests, slept on the veranda. We had five of us (two guards, Kevin , Mindra, and I) outside watching and Carol and Sam were manning things from within. The sighting of a leopard around 2 AM with its baby and, perhaps, a third one, was a big surprise, to say the least. It was a beautiful beast…most of the time we saw just its eyes but there were a few times when we saw its body move…it appeared big and looked to be black. It did not leave even when we all had our lights trained on it. Most likely it had a meal there on our fence line. I have always been told by the locals that leopards (lions too) are no longer here. Perhaps because of there being fewer people here, the leopard took greater courage in leaving its normal habitat in the nearby hills. The village on our east, which was numbered at 242, now has 10 people in it! The Lord sending a leopard to be on our north border fence is a very interesting answer to the many prayers that have been prayed! A dear friend also informed me yesterday that around 90 men with their bows and arrows had formed a neighborhood (Afoji) community watch force. 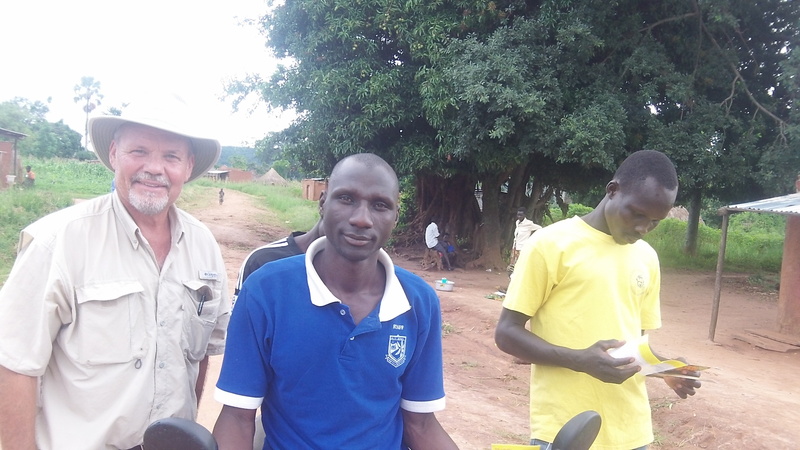 Also, a few regular members of the Ugandan army were mixed within them with their weapons…just another means by which the Lord answered your prayers! The powerful spotlight which Kevin brought with him was also very effective. We received numerous reports by soldiers/police/others saying that seeing it from far off caused people to fear “this place”. No doubt intruders and those with bad intentions had fear placed in them as well. With the exchange of gun fire at RAU on Friday night, I am sure the word got out that this was not a place to target anymore. We have now had two peaceful nights. We also have been in contact with the American Embassy in Kampala. These are some of the ways the Lord answered your prayers! Thank you! It is an honor to live and serve our majestic King along with my dear Carol and RAU co-workers Sam and Patrick in this area of His creation! It is so good of the Lord to send our dear friend, Kevin Turner, with StrategicWorld Impact ,to be with us in these very days of turmoil…what a blessing he is! He is another answer to the prayers of those who faithfully pray for my co-workers, Carol, me, the ministry of ReachingAfrica’s Unreached and the people of this region. I don’t need to die on every hill, but because of that hill called Golgotha, I can freely surrender the life My King gave me, knowing He can raise it up again or bring me safely home to a “City Without Shadows”! There is nothing on this earth that can keep us from proclaiming the good news of Jesus here. We have been told that refusing to leave Afoji and choosing to stay and help is having a strong witness in the community. May Jesus be exalted through this weak flesh (John 3:3)! Carol and I will spend the rest of our days here if the Lord so wills. Pray for both the Kukus and Ma’dis. Pray that the Lord would bring healing and peace! In the midst of this we are scheduled to fly back to the States for a short break soon. It will have been 10 months since we have been back or had even one break so please also pray that we can get things ready on this end for our visit to our beloved family, friends, and supporters. All the extra guests that have come here for refuge need a safe place until order is restored. We cannot just “kick them out”. We are already actively seeking to support their move and facilitate it if needed. Please pray for this as well. Thank you so very much! 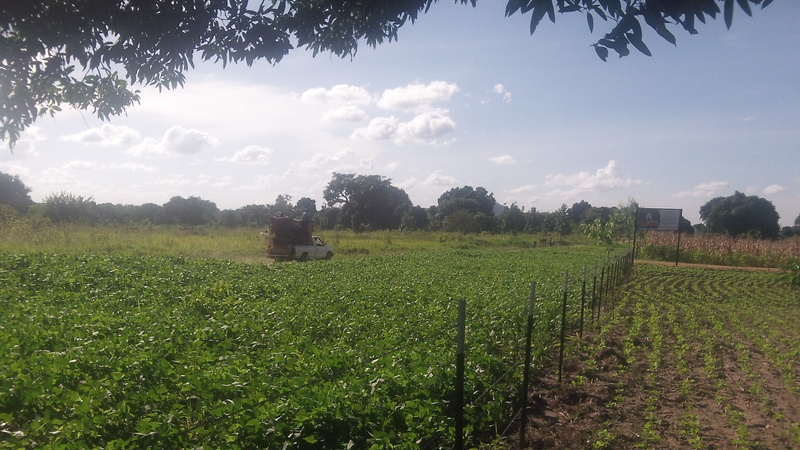 Today we are working on harvesting the maize between the Guesthouse and the Tukalus. 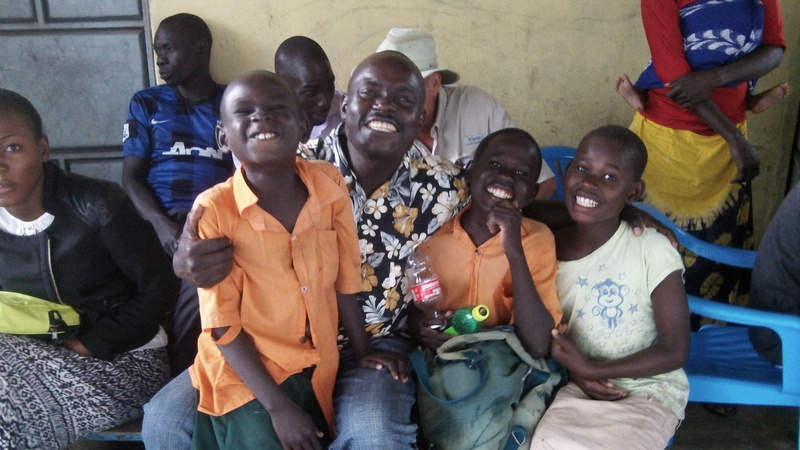 The Tukalus are where pastors stay for retreats as well as very special friends, like Kevin. After the harvesting I should be able to shred the area with the tractor, thus clearing the view between the house and tukalus for our night watches. 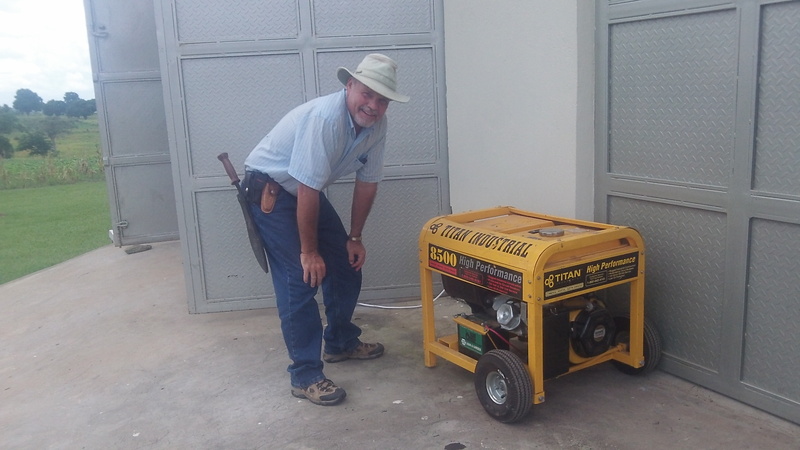 Also, I am pumping water with the generator (which is loud!) for the fourth day in row. With all the guests we have been using a lot water and, besides, the pump is pulling the water very slowly. Ideally, a solar submersible well pump would be best as we would not be dependent on generators which consume a lot fuel . In times like these, fuel is very hard to get. I try to keep a reserve and we have been using it. 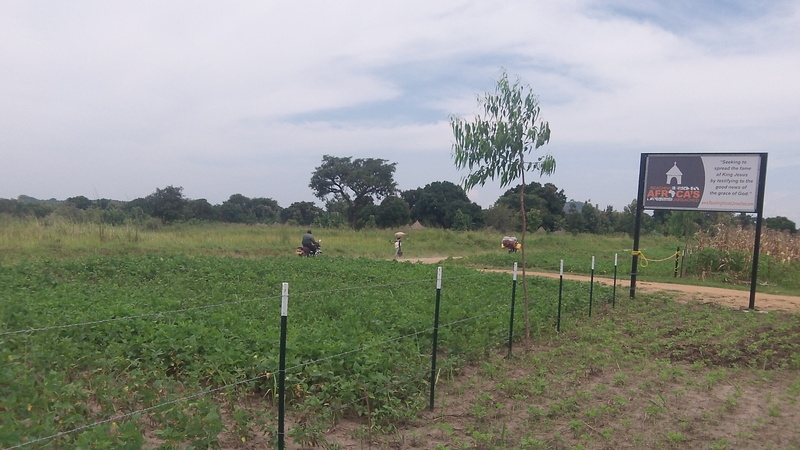 Solar pump systems run between $6000-$14,000 depending on the type/quality and how fast one wants to pump. We have to pull water up about 140 feet from the water source. 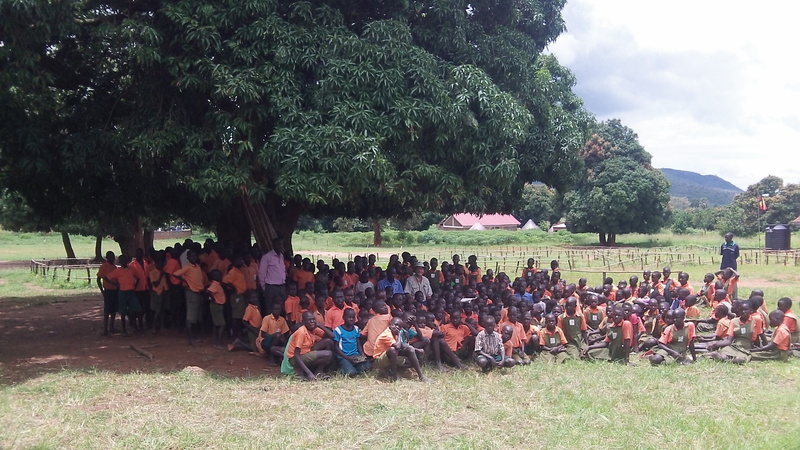 We are hoping and praying that we can get a good solar pump system in. Kevin and I have a lot of little projects planned as well. He is such a servant and a fine representative of King Jesus! We did not think it wise to leave RAU at any time during this conflict.We have a lot of fun together while we work. I think even our loud laughter in the middle of night keeps intruders away! It is a challenge to switch into guard mode at times, especially with Kevin’s funny antics and stories. Thank you all for your precious prayers! 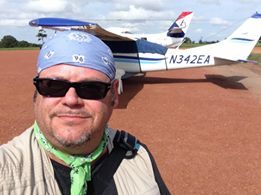 ​Looking northward at South Sudan with Kevin Turner. 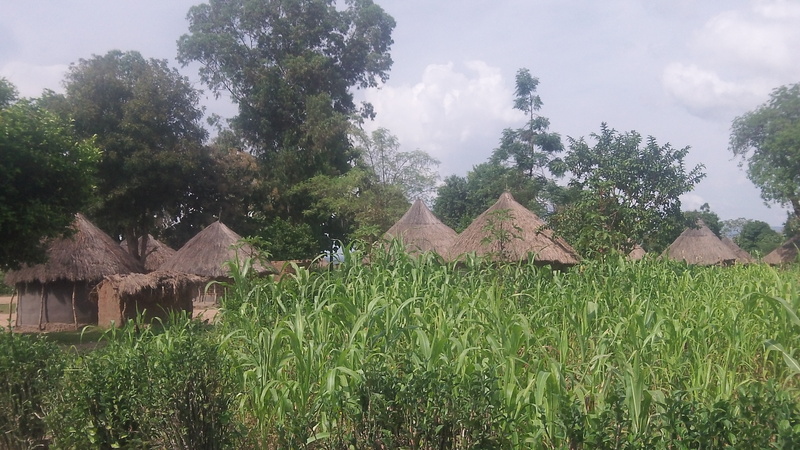 The second ridge is South Sudan. Thank you friends and family! We had a quiet night. Five of us were up all night outside and Sam and Carol kept watch inside. We had a number of women and children sleeping within. We had the young men sleep outside on the veranda. I had my trusty spear, made by father in-law in India many years ago, and a panga, plus a few other items I can’t mention in an email. I am sure Kevin’s VERY powerful spotlight had a great psychological effect. Praise God, our guards were well armed. 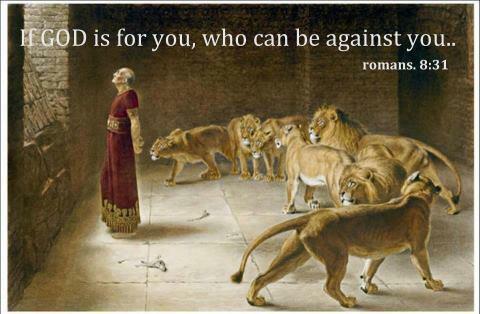 Most importantly, (and I am certain) the Lord heard our prayers and put a wall of protection around us. The Lord bless you all! The struggle is not over so please continue in your prayers for all in our area, especially for those who are suffering loss. “We are blessed, having been able to stay in our home through this nightmarish situation. My heart goes out to all those who have lost property and peace or have lost loved ones or have been injured or terrorized (and this on both sides of the conflict.) So many people have fled with very little, leaving their homes and possessions at risk for looting or burning. Who knows when they will have anything that feels like a good normal? Last night we watched as tukalus around us were burned to the ground. We did have two different groups enter the compound, one group with gunfire that was directed at our house. I am thankful for return gunfire which deterred the encroachers without killing. We are hoping that the “big whigs” who are supposedly meeting in Moyo Town today will figure out how to bring some semblance of law and order into this escalating “eye for an arm for two legs for a life” mentality which leaves no one the winner and everyone the loser. The common grace of a society based upon law and justice cannot be taken for granted and is not easy to establish where staking your claim on Power Mountain is the way of life. are trying to find safer places for the women and children to stay. It would be better for them to be out of Afoji which is being specifically targeted along with surrounding Moyo and Metu areas. We are gearing up for another night. There is a story circulating that the Kukus are being armed with fire power to launch a more effective tribal retaliation here in Uganda. In light of that, we are trying to find safer places for the women and children to stay. It would be better for them to be out of Afoji which is being specifically targeted along with surrounding Moyo and Metu areas. Thank you for your continual intercession and support! Prayer Update:I am getting ready to be out all night with other security personal. We have a large group of mostly women and small children inside. We must be extra diligent as we learned some disturbing things in our briefing. Please in special prayer…Carol will get post our from inside Lord will and Kevin Turner has his mobile and will make reports from the field. …we take our refuge in the Lord; He is our strong tower. Blessings to my friends! A dear brother put this video together. May it spur you on in your prayers! I cannot thank you all adequately for all your prayers, words of encouragement, and support. May the Lord richly bless you! “Thank you for your prayers! 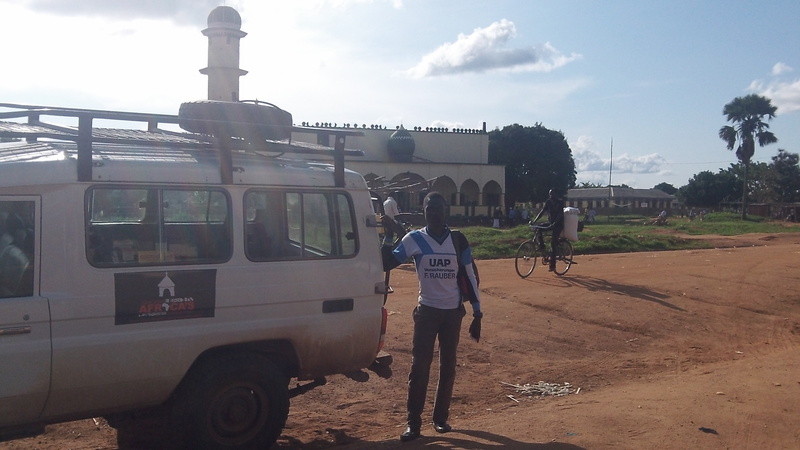 We (Reaching Africa’s Unreached, here at Afoji border) are praying and making preparations. As the saying goes, “We are hoping for the best but planning for the worst.” Things appear to be getting more unstable…roads are being blocked and there are pockets of conflict, and numerous reports of SPLA causing harm. In this type of situation there is also a lot of false information which gets spread. We do have good and well thought out contingency plans in place. Kevin Turner with Strategic World Impact has been a godsend for us in this. His ministry specifically targets war torn areas and he hosts Disaster Assistance Response Training (DART) one of which I attended. We not only have ourselves to look out for but may have a number of women and children also to care for (three of which are pregnant)…please keep praying! Thank you for your faithful intercession, encouragement, and support! We had a sad and tension filled day here in Afoji yesterday. What was meant to be a peaceful protest march, from Moyo on the road past us to the Afoji border, turned violent. The border is down the road a couple of kilometers from us. 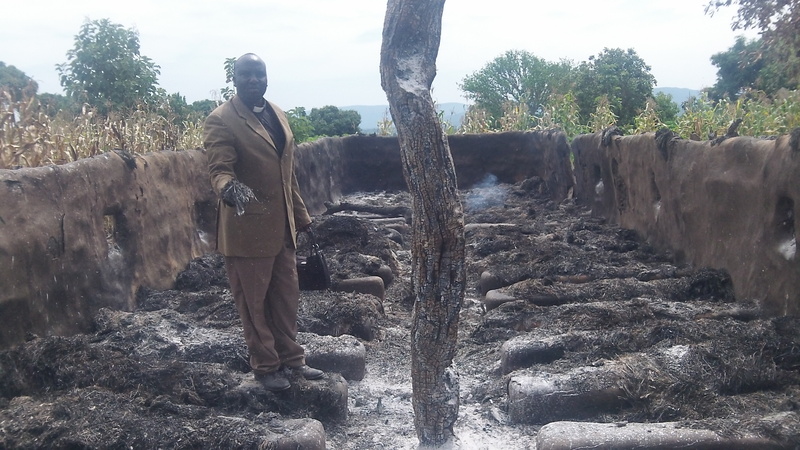 Homes (tukalus), businesses and a grass thatched Anglican (Church of Uganda – COU) church (within walking distance of us) were burned down. Because of this we pushed back to a later date the pastor’s retreat we were going to have here today through Friday. The article from one of Uganda’s national newspaper and TV gives you background behind the turmoil that is happening (Newspaper Article: http://www.monitor.co.ug/News/National/S–Sudanese-attacked-in-Moyo-protest/-/688334/2453732/-/yashoa/-/index.html;http://www.ntvuganda.co.ug/news/local/15/sep/2014/moyo-residents-protest-arrest-district-leaders-south-sudan-soldiers#sthash.LIMT5sl1.dpbs). 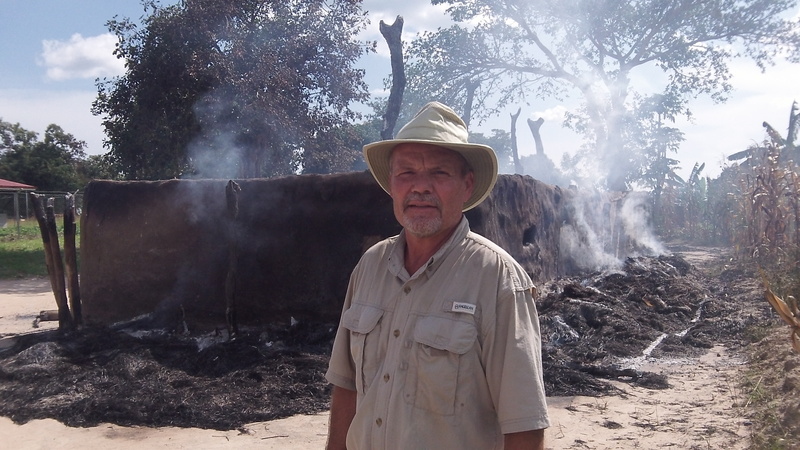 No harm was done here at Reaching Africa’s Unreached but one of our faithful workers and friend, Zakeo, who is a native Ma’di had two of the places he rents out in the Afoji market burned down. Please pray for peace to reign here and for the authorities, most of whom I know, who have a very complicated situation before them. Pray that the violence will not spread. Our part is to minister the hope, love, and lasting peace that can only come through the Lord Jesus Christ! Our good friend and co-laborer in Christ, Kevin Turner with Strategic World Impact is arriving on Thursday and will be with us a week. He has ministered around the world in this type of situation. His trip was not specifically planned because of this event but the Lord worked it out for him to be here. He and SWI are a grand blessing! Currently, there is an eerie quiet here at RAU. In Moyo town itself there is rioting and great unrest. 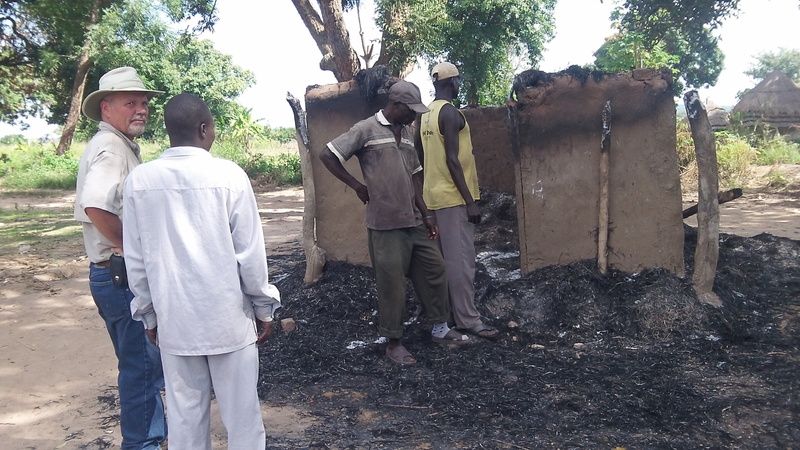 We have unconfirmed reports of a village nearby where around 100 homes were burned in retaliation for things done to South Sudanese here. 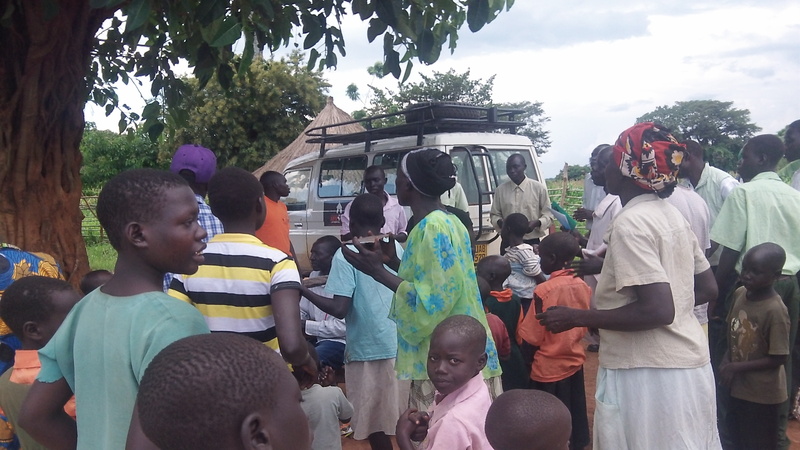 There is now a steady flow of people with their belongs going by RAU to South Sudan. They are primarily leaving out of fear. However, there are rumors also floating that they are leaving to clear the way for the SPLA to come this way from South Sudan. Please be in serious prayer! Our friend Gary Greaves with Strategic World Impact (SWI) put this video together on the events of the early morning hours September 20th. Kevin Turner, President of SWI has been with us assisting us in these trying days. He has been a great blessing to us here at Reaching Africa’s Unreached. On behalf of RAU I thank Kevin, Gary,SWI and everyone who has been praying! Please continue in your prayers! On Monday September 15 this Protestant Church very near RAU was burned down by a mob. 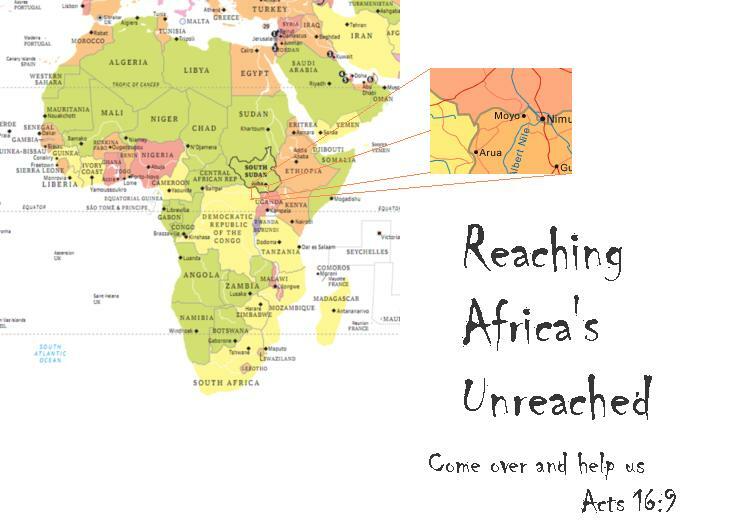 We, at Reaching Africa’s Unreached, cannot thank you all enough for all your prayers and and words of encouragement! Only the Lord knows the full effect of your intercession (2 Corinthians 1:11) for this conflict and all who are involved in it! We have the added blessing of receiving Kevin Turner on Thursday the 18th. He will spend a week with us. We have had some sad and tension filled days here in Afoji beginning on Monday, September 15th. What was meant to be a peaceful protest march on Monday morning, a response to an earlier incident which happened across the border in South Sudan, turned violent. 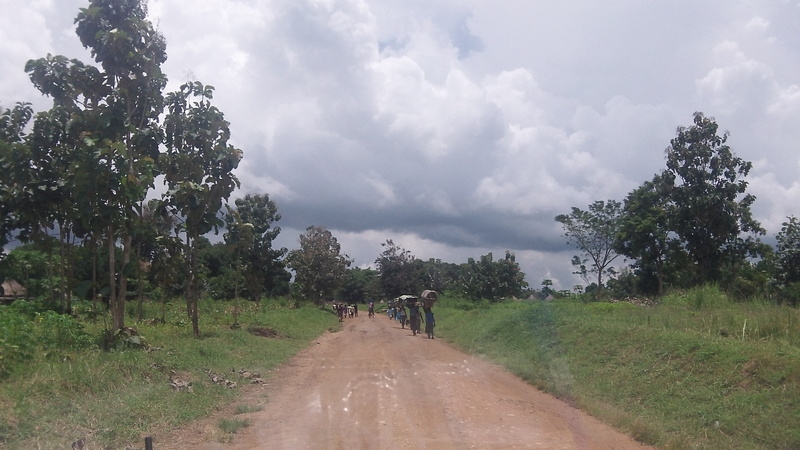 The March proceeded from Moyo and went to the Afoji border post which is down the road a couple of kilometers from us. 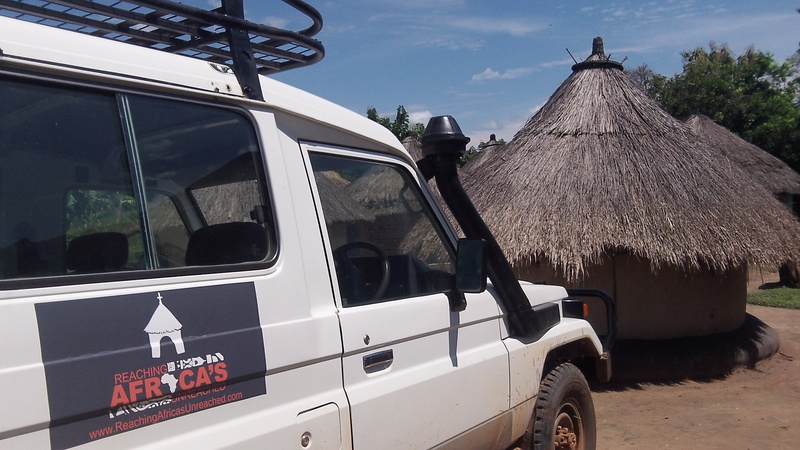 On the march back to town, homes (tukalus), businesses and a grass thatched Anglican (Church of Uganda – COU) church (within walking distance of us) were burned down. [Because of this we pushed back to a later date the pastor’s retreat we were going to have here this week. We had 6 pastors from D.R. 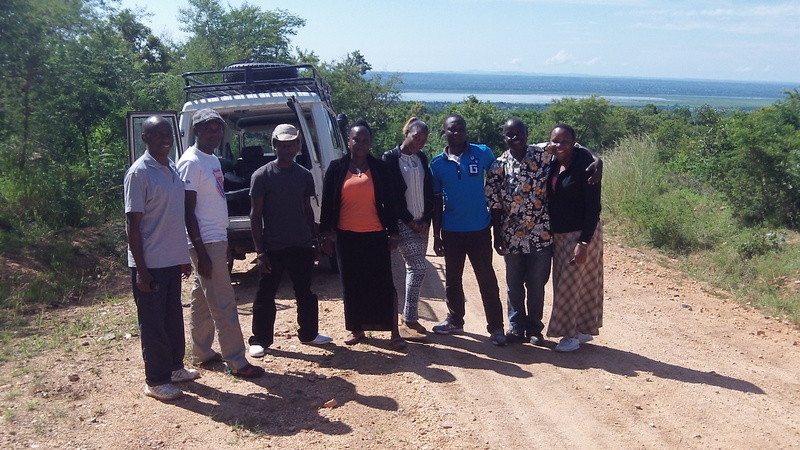 Congo and 14 pastors from Koboko and Maracha scheduled to be with us.] No harm was done here at RAU, but one of our faithful workers and friends, Zakeo, who is a native Ma’di, had two of the places he rents out in the Afoji market burned down. On Tuesday the tension increased. 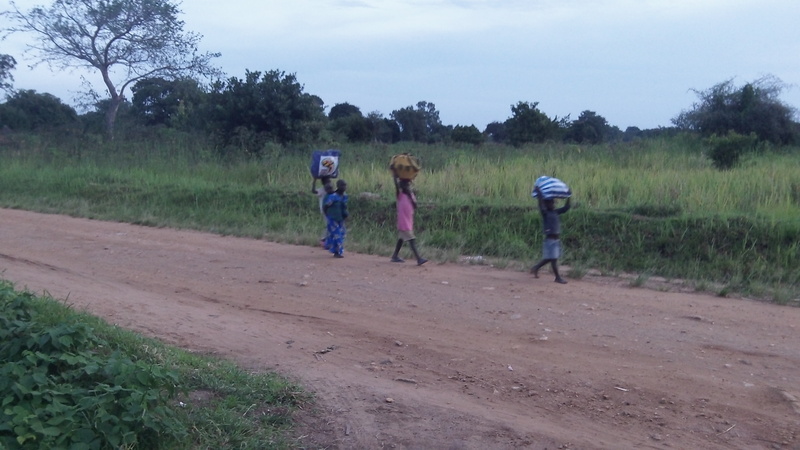 Throughout the day Kukus fled to South Sudan with whatever they could carry. In Moyo town there were riots, tear gas, and bullets. An attempt to burn the police station was, thankfully, foiled. 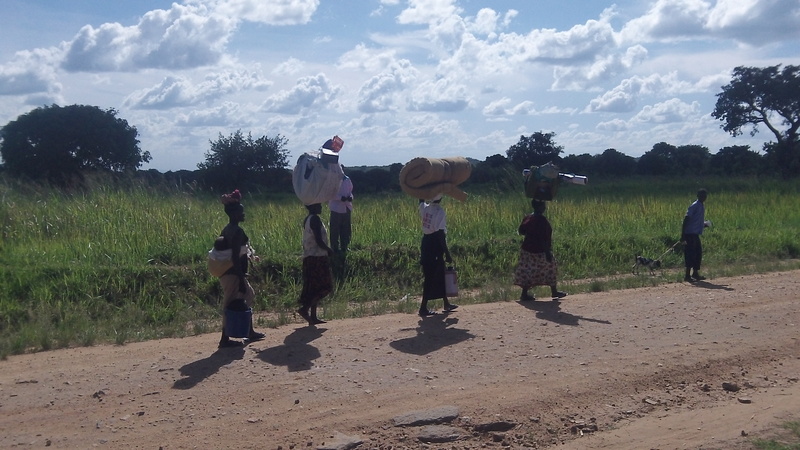 Ugandan soldiers/police and SPLA (South Sudan) forces mobilized head to head on the border.The SPLA’s purpose was, allegedly, to cross over the border to “help bring their people (Kukus) safely back” into South Sudan. 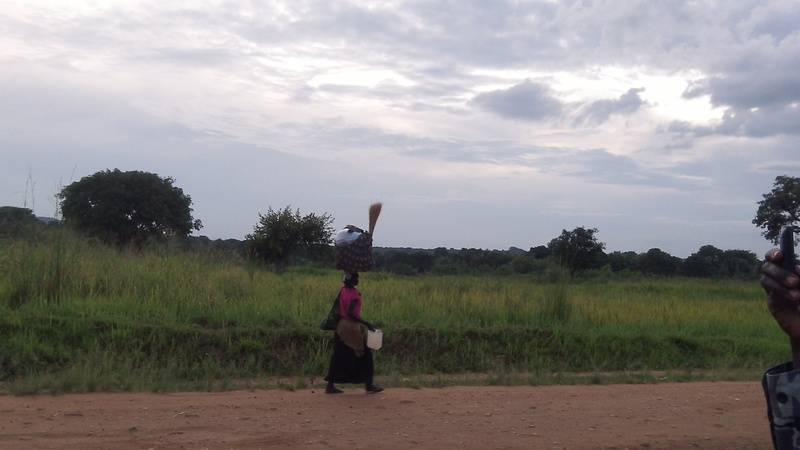 Throughout the day, many Ugandan soldiers passed our way to the border. 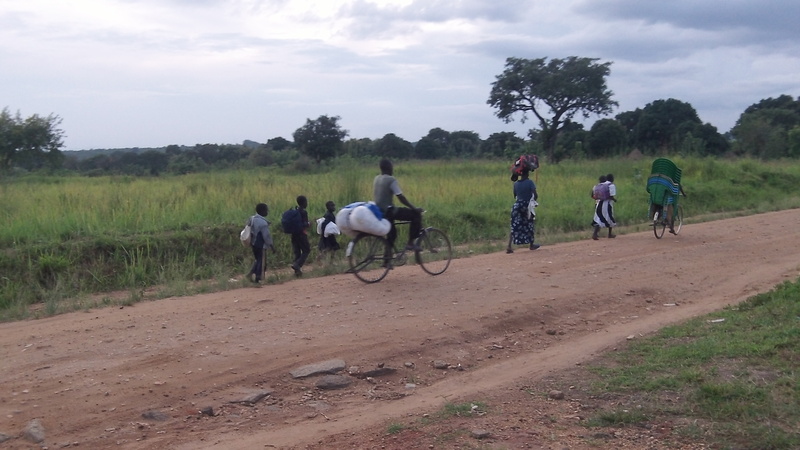 By the end of the day we saw them heading back towards Moyo town to their barracks. We are very grateful that calm minds prevailed…PTL! The police and army forces did well in helping to keep the violence to a minimum. I had a good talk earlier on this Wednesday morning with one of the men (military police) who was on the compound all night. He and his coworker faithfully watch over us and the compound each night and we had three of them with us on Tuesday afternoon as a precaution. The police officer reported that the stand off at the border had calmed down between Ugandan soldiers/police and SPLA (South Sudan) forces. Keep praying that the lull in activity is a sign of improvement and not just a regrouping. 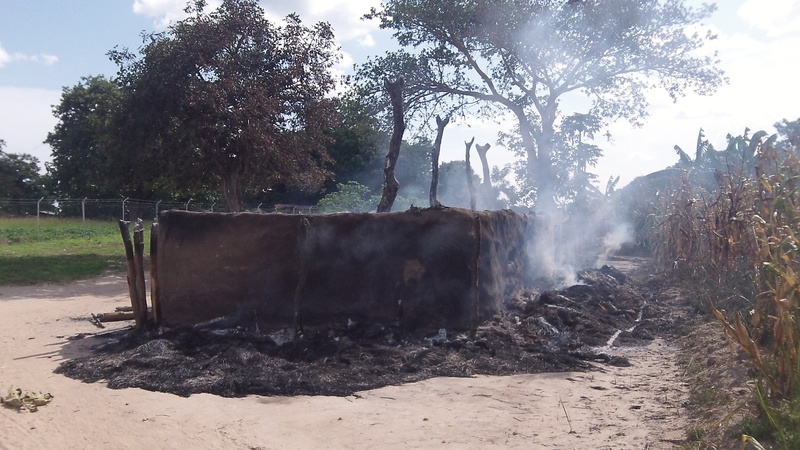 Though it was quiet here at RAU, during the night, some more homes were burned down in Moyo and one person died in a struggle. Currently, in our neighboring villages, there are very few people left. 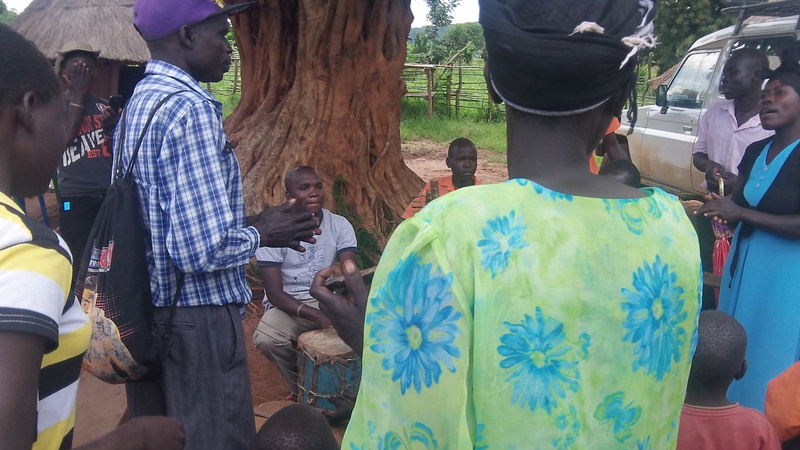 Ma’dis have gone to stay in Moyo (or other places further away from the wrangle) fearing that the SPLA may cross the border and seek revenge; the Kukus have left for South Sudan fearing reprisals from the Ma’dis. 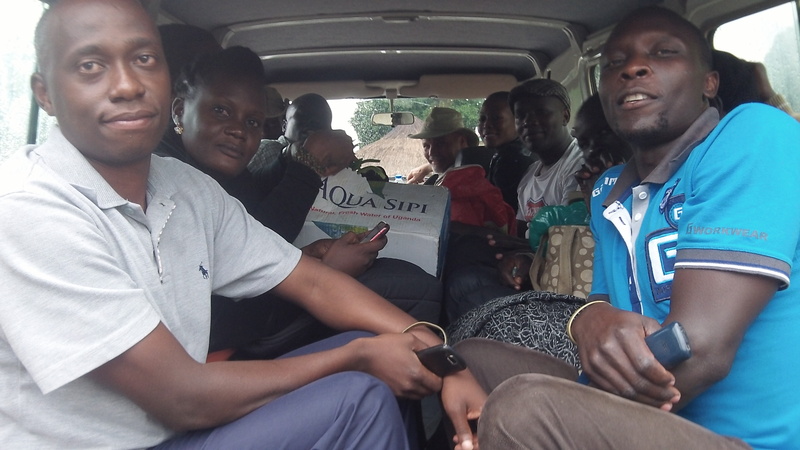 This morning truckloads of people and their belongings are passing by from Moyo to South Sudan. The flow past RAU is incessant. Yesterday, most of the people, including children, were just taking what they could carry. Today, trucks have been coming from South Sudan in convoy fashion to pick up people and belongings that were too big or numerous to carry. 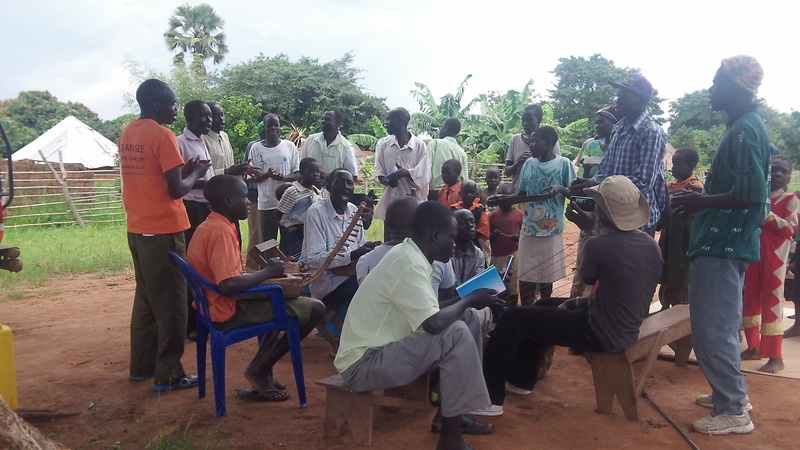 Please focus your prayers on God bringing right thinking and right hearts in the two tribes, the Ma’di (Ugandan) and Kuku (South Sudanese). They have interacted for many years but tribalism is deeply rooted in their hearts and the hurts and wrongs on both sides are not easily forgotten….only the Lord can heal their hearts! “The heart of the problem is the problem of the heart” (H. Krabbendam)! Please keep praying! 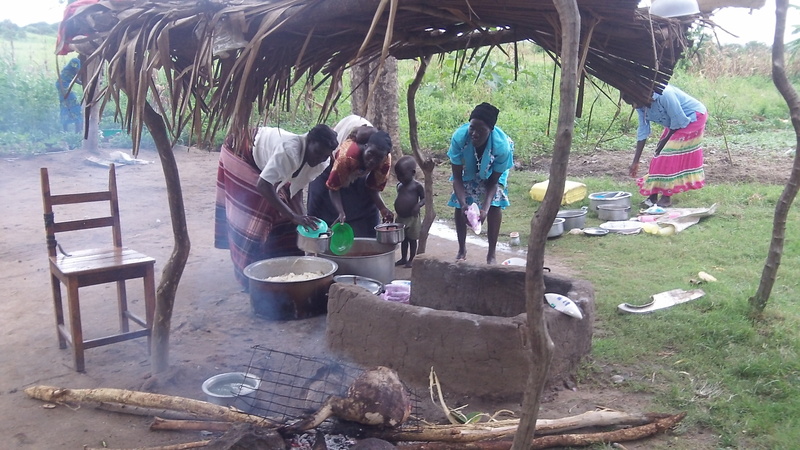 We would like to be a part of helping the Afoji Church of Uganda congregation rebuild it’s burned down church. Helping in this time of need is a great evidence of Christ’s love for them and an encouragement that they are not standing alone. Please pray for these believers and all who are suffering because of this conflict. If you specifically want to help this church please make a notation of it on your gift. As mentioned in Carol’s last post, Preston and Laurel Sink spent two weeks of July with us in ministry. They were a real joy to us and many others. They boosted Carol’s and my spirits. They made a short video of their trip for their Church, Seagrove Baptist Church from Florida, highlighting some of the things they did. They graciously gave us permission to post it here on the RAU blog. I think you will enjoy it! A big thank you to all who have been praying for Pastor Godfrey and the situation I alerted many of you about in a private email. Because of the situation I cannot give you details but know things are looking better. Please continue in your prayers! Thank you very much! 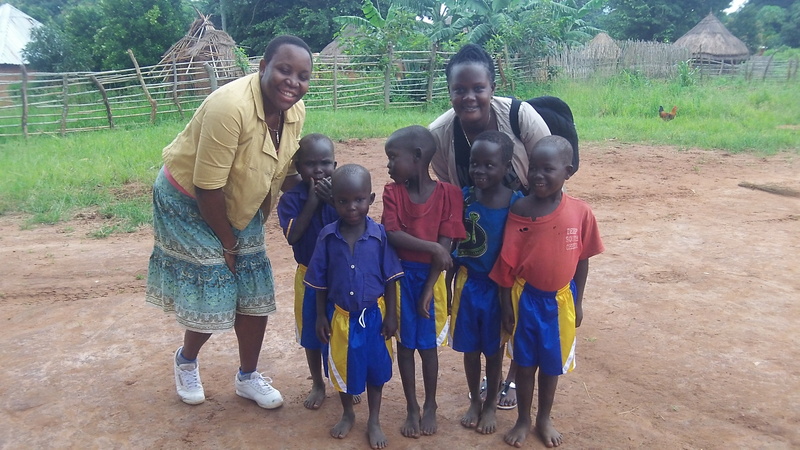 We had a great day in Obongi with seven young adults from 1st Presbyterian Church in Kampala on September 8th. I have had the blessing of knowing most them for a number of years, one of whom I met on my first trip to Africa in 2006. 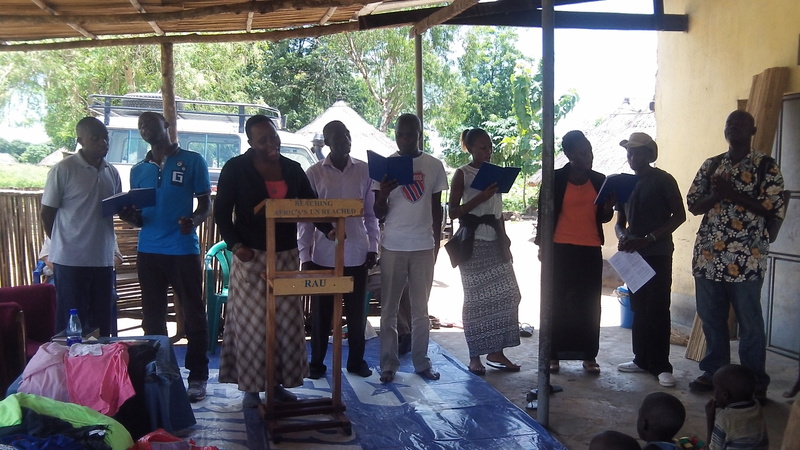 They were a great blessing to the 7 month old Obongi Town Church led by Pastor Godfrey. They brought clothes to give out and each of them shared a word of encouragement. I had the privilege of preaching and taught from The Parable of the Pharisee and Tax Collector. Our plan was to go tukalu to tukalu for evangelism after lunch but the heavy rains stopped us. Nevertheless, the Lord brought two people to us who were saved. One came because he was told in the town that this “group” could help him. He came in the middle of my message and afterwards approached us, wanting to know Christ. The other was a teenage girl who stopped by and with whom one of our youth spent a good hour talking; in the end she, too, was giving her life to the King of kings! When God is moving in a place no one can stop Him! 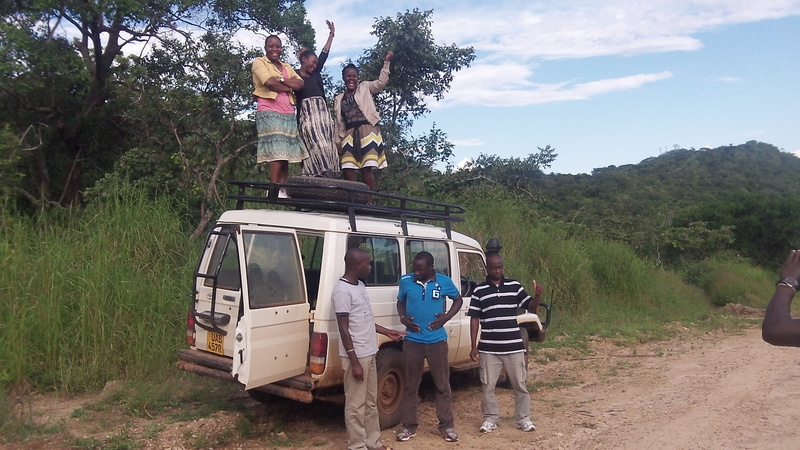 On the way back we gained three more passengers who needed rides to Moyo, bringing the total in the Land Cruiser to 13. 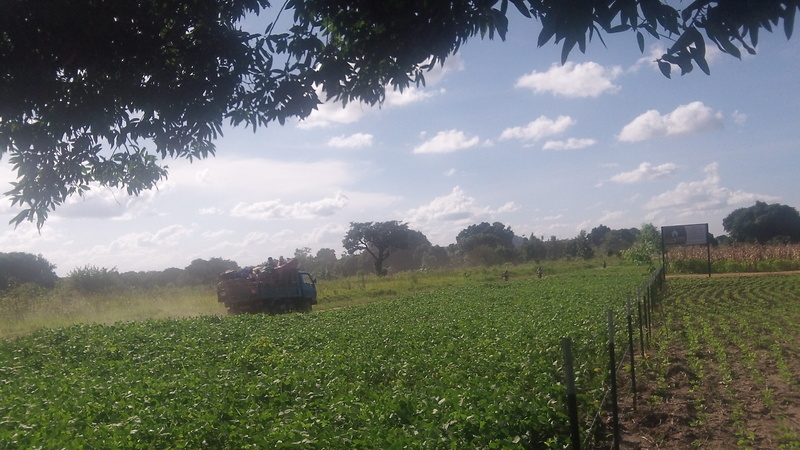 With all the rain we had to use the 4 wheel drive several times. The promises of Matthew 19:29 are true! On Tuesday, the 9th, we had a beautiful day sharing Christ on Metu Mountain in several villages. 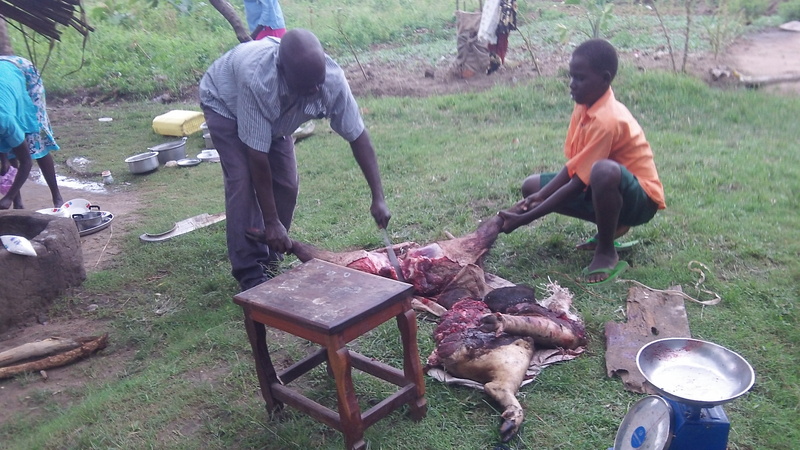 The seven youth from Kampala, Sam, Godfrey, members of Aya Baptist Church, and I branched out in teams from Aya Baptist Church which is pastored by Tobius. The Lord opened the hearts of 13 people to confess Christ and many others heard the gospel message. I had the opportunity to share the gospel in a school and later had the joy of seeing a very old man place his trust in Christ. 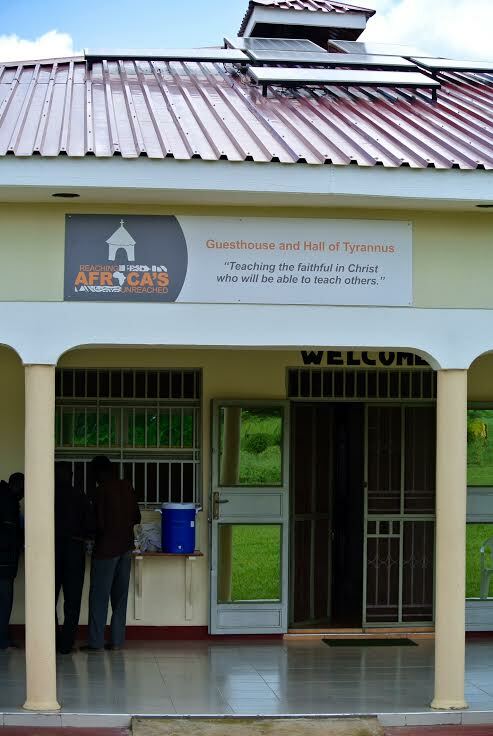 We all returned to Aya Baptist to report, praise and eat! The camera was with me so I regrettably did not get any photos of the youth as they shared the good news of Jesus. 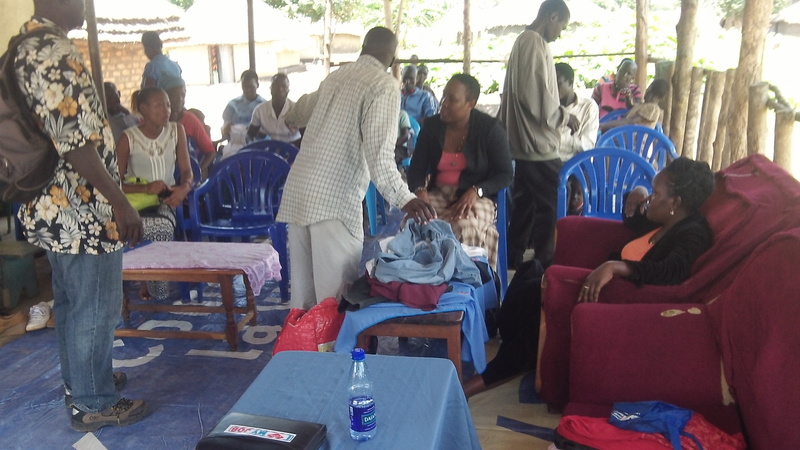 Clothing was also given out to Aya Baptist members.We left, after some beautiful fellowship, determined to go at a later date to the other villages in the area without one church! There are numerous villages back in the hills. By God’s grace we must go to them with the gospel! What joy to work with young people and a church like Aya Baptist who love Jesus and put feet to that love. Preparations are continuing for the drilling of a well in Aya. 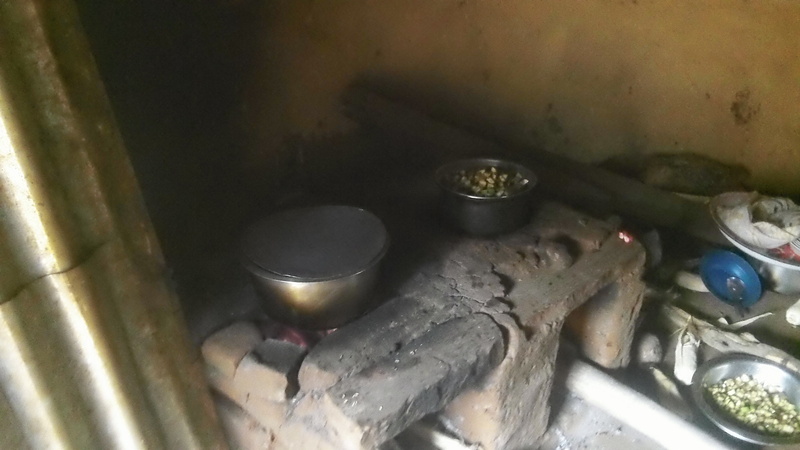 It would serve Aya and surrounding villages. 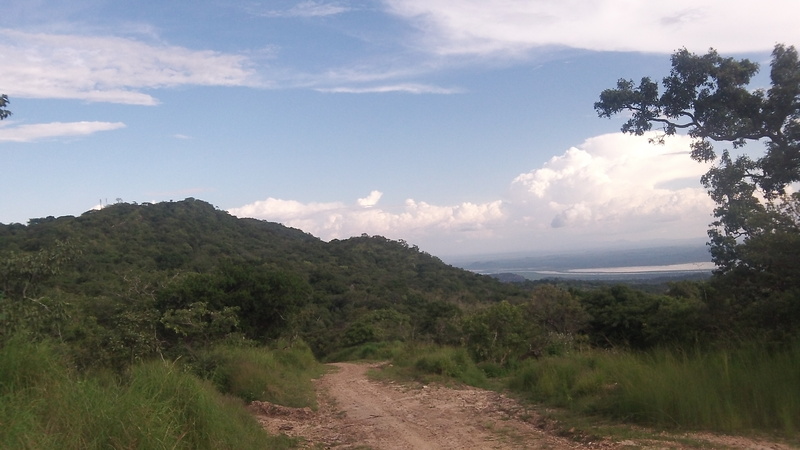 There are no bore holes in these hills. This older man professed Christ after sharing the gospel with him. I enjoyed sharing the gospel at this school. It brought back good memories of my times at Lifegate Christian School and Nixon-Smiley High School. There is open access to preaching the gospel in both government and private schools! Having some fun on the way back to RAU…hmmm…I wonder where Isma is at 🙂 ! What a fine, fun, and Jesus-loving youth group! On Wednesday the 10th, I, along with 15 others (all much younger than me,) spent much of the day in Yumbe in one-on-one witnessing. 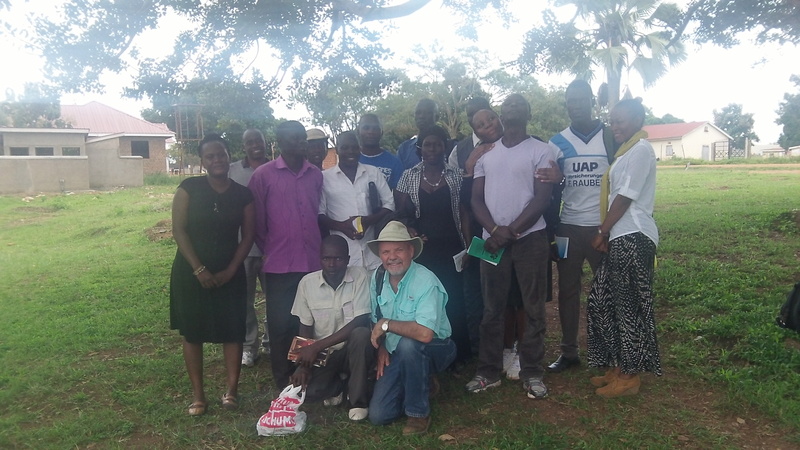 We broke up into 5 teams and fanned out throughout Yumbe town. We all had very engaging and spirited conversations in this District which is tagged by locals at around 95% Muslim. The Lord was faithful and opened the hearts (compare Acts 16:14) of eight who have joined the family of faith. Thank you to everyone who faithfully intercedes and supports our work! Getting ready to head into Yumbe town with the gospel. Can you tell we have a lot fun with each other? 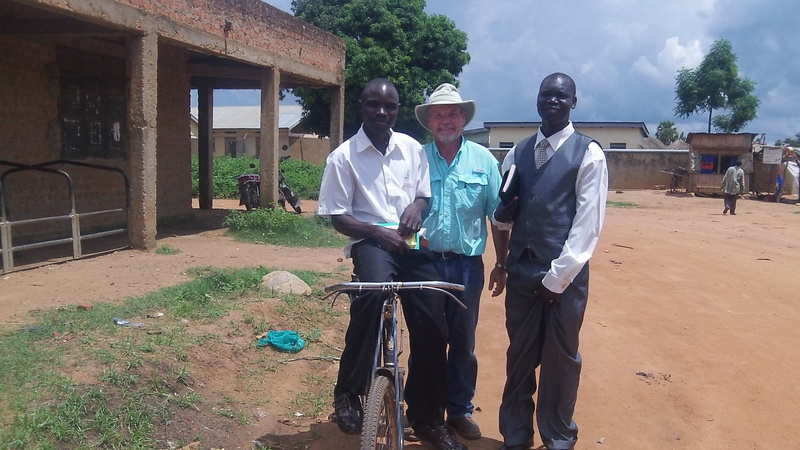 With John and Charles who are faithful followers of Jesus in Yumbe. They are excellent interpreters. We were met with many challenging questions from Muslims who would agree to talk with us. Getting ready to head back to RAU and praising God for those who have come to know Him! 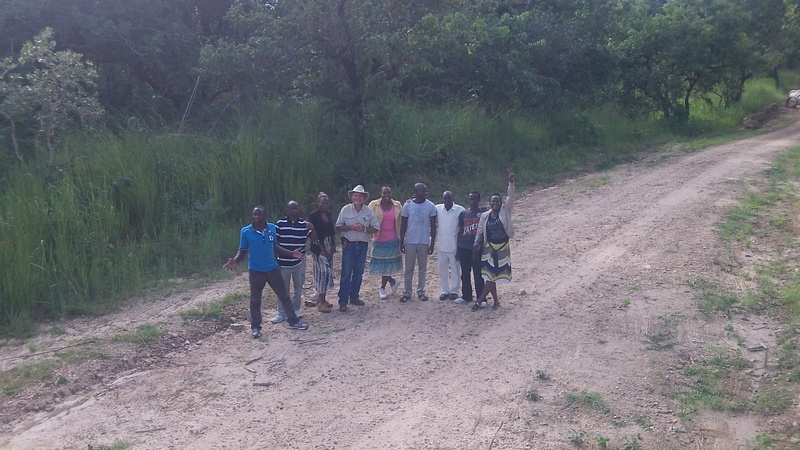 On the 11th we all went to the Moyo prison. The youth shared and sang and faithfully challenged the inmates to follow Christ. They also brought sugar, soap, and clothes for them, displaying Jesus’ love in a very tangible way. We were not allowed to take any pictures. The 12th will be spent in one on one witnessing here in Moyo District and then on the 13th they will all head back to Kampala. Each them of Jesus and I am confident they will be back with more of their fellow youth next time. When youth are challenged in the proper way I have found that they meet and exceed the challenge before them. This mission trip was not easy for them as they were stretched; the stretching was good for them and all of us at RAU! 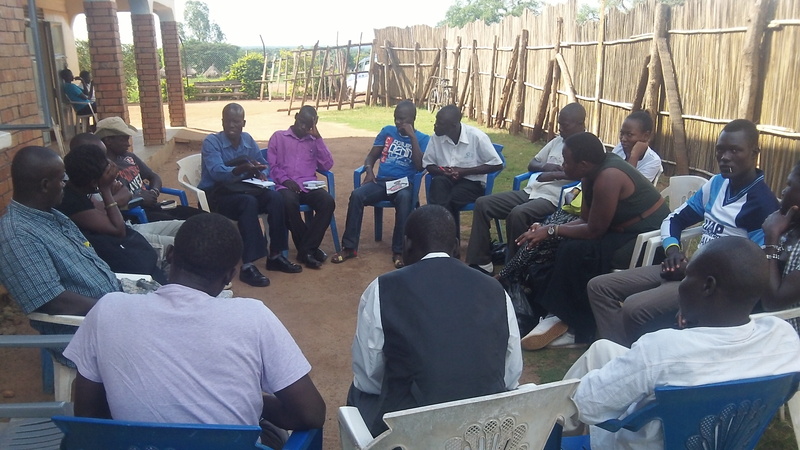 From the 16th to the 19th we have pastors here for a teaching retreat from Koboko, Maracha, and D.R. Congo. Please be in prayer for this time of teaching and mutual encouragement in the faith. 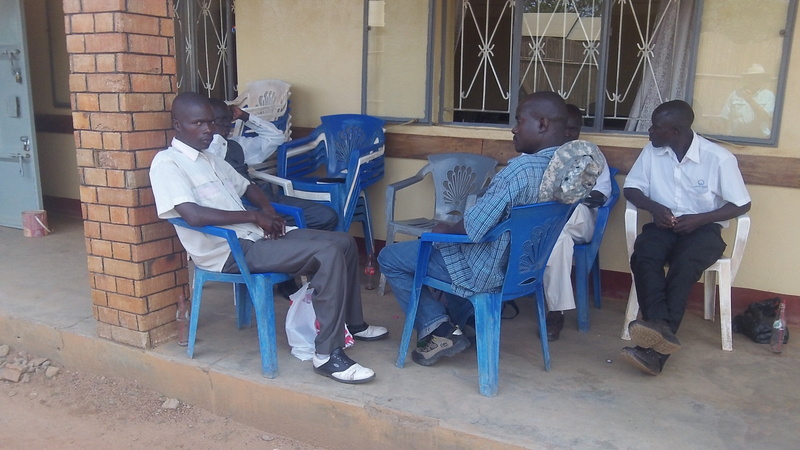 We now have some good contacts in these areas which help facilitate the bringing of these men here. The backbone of our calling are these retreats. With your prayers and support we are able to bring these men here, feed and house them, give them an ESV Global Study Bible and other solid, biblical literature, and teach on the fundamentals of the faith. This is our 9th pastor/church leaders retreat and we have hosted over 200 guests.Our good friend Kevin Turner with SWI will be with us from the 18th to the 25th. He will be able to teach at the last part of the retreat and will be a grand blessing to us and all he comes into contact with. I confidently say that because of his deep and abiding love for Jesus! 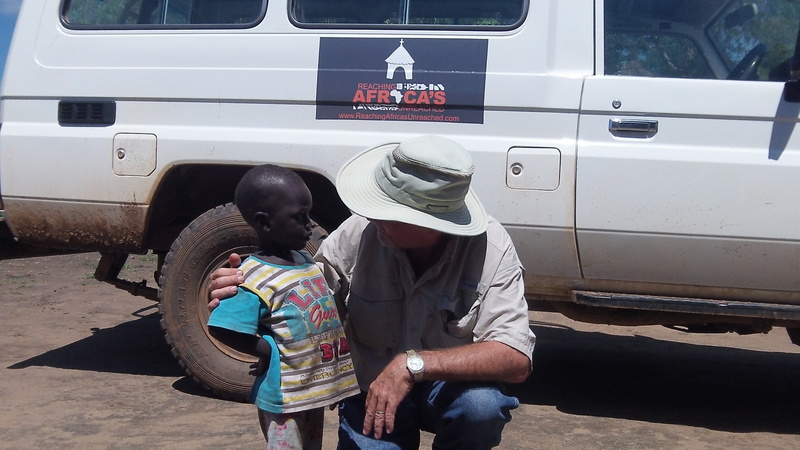 Please be in prayer for Africa as much of it is increasingly in the bull’s eye of Ebola. 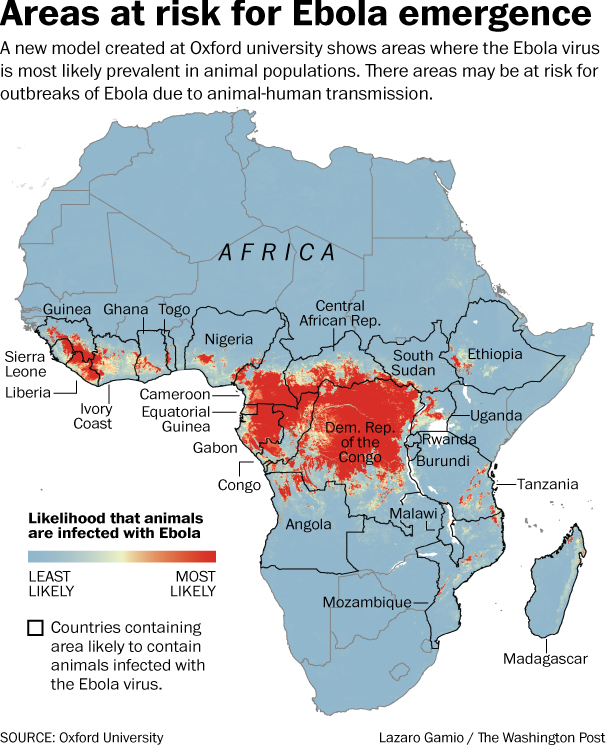 As you know, Ebola is rampant in West Africa. In the past, it has also been here in East Africa and in our immediate area. Please pray that its spread will stop and lives are saved. The following map gives the potential spread of it if it is not stopped. May the Sovereign God of the universe stop it in its path! We head back to the sweet USA on October 2. It will be ten months since we have been back. We look forward to meeting the newest grandchild, number four, who is due just as we return. Both Carol and I are also looking forward to spending time with family, friends, and dear supporters! Most of our time will be in Texas; however, we will also be in Iowa for my parents 60th wedding anniversary celebration and in Tennessee with our middle son, Josiah.